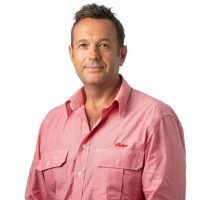 If you’re looking for a clear, common sense approach to the property market in Darwin, then come and talk with Darren. His ability to cut through the market noise is refreshing and his open, transparent and direct communication sets him apart. With over 30 years’ experience in property development and construction, Darren offers sound market knowledge and a pragmatic approach that only “life experience” can bring. So, when holding one’s nerve when things get a little rough, you can rely on Darren for that one on one coaching too. Whether you’re buying or selling in the current environment give Darren a call to discuss. Would you like to speak to Darren? If you’re thinking about renting or selling your property and you’d like a clearer picture of how much your property might be worth or want to have an informal chat about general property market trading conditions, Darren will be happy to arrange a full market appraisal of your property.